When the EU’s 'Roam like at home' policy kicks in next week – intended to end big roaming charges for mobile phone users – it will be widely portrayed as a success story by EU leaders. After all, if people cannot travel from one European member state to another and use their phone without incurring a massive bill when they get home, it really undermines the concept of the European single market. But behind the scenes, a faction of member states absorbed the interests of their telecom companies, and secured compromises which have led to roaming becoming more complex and weaker than it might otherwise have been. The lobby battle over roaming charges, and specifically its final phase when wholesale roaming charges were debated, showed what happens when member states with opposing interests have to find agreement at the EU level. Moreover, it shows what can happen when national corporate interests are adopted as a national public interest, in this case, the Spanish Government and its telecoms giant, Telefónica. Ultimately, major national operators such as Telefónica (alongside others such as Deutsche Telekom and Orange) lost the battle on wholesale roaming, but by finding a sympathetic ear in the Commission, and joining forces with member states in the Council, they were able to secure compromises which have led to roaming becoming a more complex and weaker policy package than it might otherwise have been. Mobile roaming charges have been a thorny issue for EU citizens for years. In response successive Commissions have tried to tackle the problem, which has attracted heavy lobbying. In 2014 The Guardian reported how MEPs were shocked by the level of corporate lobbying by members of the telecoms industry. A Polish MEP noted, “We had telephone companies and lobbyists who started to invade us…. They obviously didn't want to reduce roaming charges because it would hit them in the pocket.” Speaking in 2016, an Austrian MEP told EurActiv that he had not seen a sector “with such intense lobbying like the telecoms sector in the last 18 months”. The EU’s 'Roam like at home' policy will be implemented as of 15 June 2017, but the policy debates on roaming which have taken place over many years have divided the telecoms industry. On one other side are long-standing operators like Telefónica (Spain), Deutsche Telekom (Germany), and Orange (France) which are major network owners and operators, with the latter two retaining an element of government ownership. On the other side are newer entrants to the market, big and small, who see themselves as more competitive, offering lower tariffs both domestically and for roaming services. Geography further divides the sector. Operators from countries which experience high incoming traffic (including major tourist destinations such as France, Spain, and Italy) have argued for higher wholesale roaming fees, which they say are required to handle seasonal spikes in demand, putting them at loggerheads with operators from those countries that ‘send’ tourists including those in the north of Europe, Scandinavia, and the Baltics. Telefónica is one of the biggest Spanish multinationals and one of the largest private telecoms companies in the world. It is the major telecoms network operator in Spain, and the government previously owned a majority stake in its predecessor company, until it was fully privatised. Telefónica also trades as O2, Vivo, and Movistar. At the EU level Telefónica is a major lobby actor. 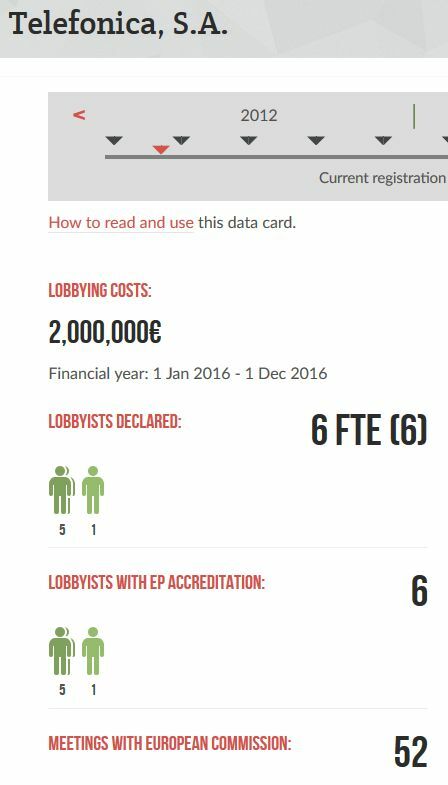 It declares spending €2 million annually on EU lobbying which places it as the joint 21st highest spending corporation. It has six European Parliament pass-holders and has held 52 meetings with commissioners, cabinet members, or directors-general since December 2014, which places it 11th on the list of corporations who meet most often with senior Commission decision-makers. (All data from LobbyFacts, correct as of 6 June 2017). Telefónica is a member of a range of influential trade associations in Brussels. These include the European Telecommunications Network Operators' Association (ETNO) which represents the established network operators such as Orange, Deutsche Telekom, and Proximus (Belgium); and BusinessEurope which unites major employers and other corporations, and has better access to the elite of the Commission than any other lobby group. Telefónica is also a long-standing member of the European Round Table of Industrialists (ERT) which brings together chief executives of major European corporations to lobby at the EU level; it joined in 1985, indicating an early emphasis on networking with EU decision-makers. Telefónica was involved in one of the EU institutions’ biggest revolving door scandals when in 1999 Martin Bangemann, the Commissioner for Industrial affairs, Information and Telecommunications, announced that he would move to the board of the Spanish telecoms giant. The Commission sacked him and launched a case against him at the European Court of Justice, which was dropped when he agreed to delay his start with Telefónica until 2001. "We believe that the authors have systemic links to the Telecoms industry and that is clearly reflected in the … study that shows a very biased position towards the views of the large telecoms operators in the market". 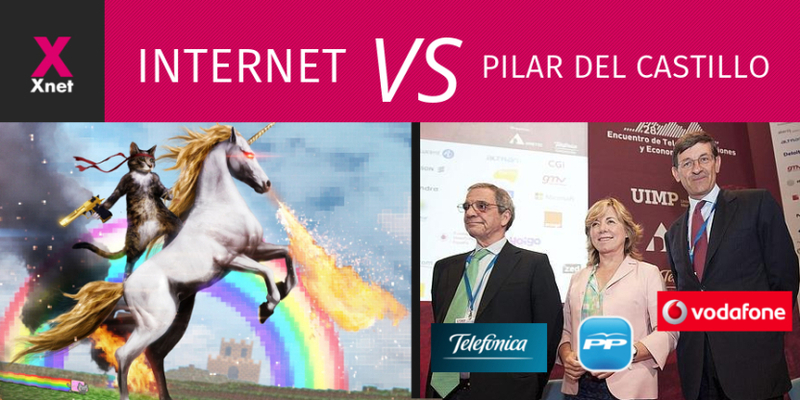 Elsewhere on the ITRE committee, MEP Pilar del Castillo Vera (centre-right, Spain) has been criticised by Spanish campaign group Xnet for being on the side of big telecom operators such as Telefónica when she was rapporteur on net neutrality and retail mobile roaming legislation in 2015-16. Meanwhile EurActiv wrote that the MEP had been accused of protecting Telefónica in these negotiations, but she denied it saying: “It’s normal to listen to all the stakeholders … Member states do the same thing, governments do the same thing”. In 2015 there was an EU-level agreement to abolish roaming charges and introduce the 'Roam like at home' policy as of 15 June 2017, but additional rules still had to be agreed, especially on wholesale roaming charges. Wholesale charges are not the prices that individual customers directly pay to use their phone while travelling (those are retail charges), but are the charges that operators levy on each other to provide roaming services to their visiting customers. In 2015-16 the Commission ran a stakeholder consultation and commissioned some research from private company TERA Consultants. This research received a very mixed reception, with many arguing that the methodology inevitably produced findings favourable to industry players such as Telefónica. These findings favoured caps set far too high on wholesale prices, which did not actually reflect the (far-lower) real costs of providing wholesale connectivity. Yet at a workshop to discuss the findings, the Spanish telecoms regulator, La Comisión Nacional de los Mercados y la Competencia (CNMC) “made a very long speech” arguing that the consultants’ research was presenting wholesale caps which were too low and that costs were much higher in Spain, partly due to the extensive number of tourists it receives. This speech was apparently received with some bemusement by some in the room, including by the operators and national representatives from countries where tariffs were already substantially lower. Eventually in its final proposal the Commission recognised that consumers were paying too much, and some operators were making excessive profits. However, it also seemed clear that the Commission had heard the pleas of the Spanish regulator, among others, and accepted their arguments. The Commission's proposed wholesale cap of €8.5 per gigabyte (GB) of data transmitted (fixed until 2022, with a review in 2019), was seen as very high, favouring long-standing operators and penalising newer operators with low tariffs. The Commission’s justifications included ensuring cost recovery for visited operators; and preventing “abusive” use of roaming, both arguments cited by long-standing operators. Yet within a couple of weeks, the Spanish regulator CNMC had published a report which argued for an even higher wholesale cap (at €11.1 per GB, this was a 30 per cent increase on the Commission’s proposal) on the grounds that only at this level could Spanish operators (and the biggest is Telefónica) cover their costs when faced with high levels of seasonal incoming traffic. CNMC had employed Axon Partners to refresh the cost model which produced the €11.1 figure. Some of Axon’s other consultancy clients have included Viva, Telecom Italia, Vodafone, and Telefónica. The European Parliament's rapporteur on wholesale roaming was Miapetra Kumpula-Natri (centre-left) from Finland, a country that sends more tourists overseas than it receives and has the lowest tariffs in the EU. Her initial draft report was dramatically different from the Commission’s, proposing progressively lower wholesale roaming charges starting at €5 per GB in 2017 and reducing to €1 per GB by 2021. Her position was in line with the parts of the telecoms industry which were already offering low tariffs and wanted the wholesale caps to be reduced as much as possible. Kumpula-Natri's lobby contacts during her work on this dossier have been published on her website. This amendment would have benefited Telefónica; however, it was rejected in an ITRE committee vote and the final EP position was both consumer-friendly and beneficial to cheaper operators. Instead, a tougher battle on these issues was being fought in the Council which saw member states, including Spain, defending the interests of their major providers. 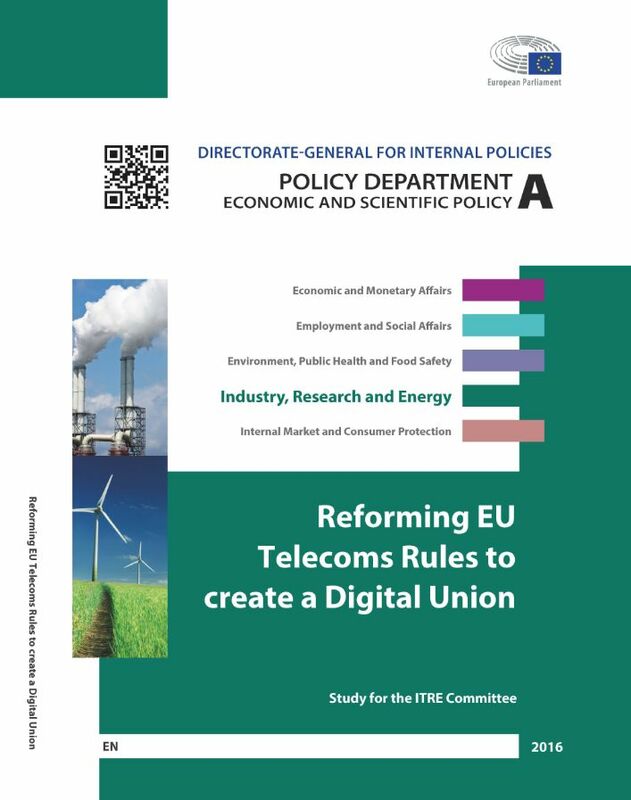 In meetings of the Telecoms and the information society Council working group, the wholesale roaming cap was initially proposed at a dramatically higher level than even the Commission dared, at €12.70 per GB but decreasing, via a glide path or sliding scale, over three years to €4.30 per GB. In September 2016, member states, coordinated by the Slovak rotating presidency, were additionally asked to accept the idea of a “derogation” in the form of amendment 4a which was very similar to the surcharge amendment by MEP José Blanco López. The Spanish media outlet Expansión later wrote that this amendment was introduced by the Spanish government, and in a tweet the author of the article nicknamed it the “Telefónica clause”, implying that it was put in to protect Spain’s biggest telecoms operator from any drop in profits that might result when 'Roam like at home' was introduced. A source who tracked this dossier closely told Corporate Europe Observatory that as one of the biggest companies in Spain, Telefónica is very close to the government, and that it was highly unlikely that Spain would propose anything on such a dossier without first being clear that it would suit Telefónica. Another source, an industry insider, told Corporate Europe Observatory that Telefónica “did not have to do much legwork” on the wholesale roaming dossier as its position had already been absorbed by other actors, including the Spanish telecoms regulator and government. A further industry insider told Corporate Europe Observatory that Telefónica and the Spanish government pretty much saw “eye to eye” on things, meaning that Telefónica did not have to be publicly active on the wholesale roaming dossier. So whether or not Telefónica itself had actually proposed this particular amendment, the Spanish government would have made its proposal knowing that it would fit with Telefónica’s corporate interests. The 'Telefónica clause' was discussed by COREPER (the Committee of Permanent Representatives in the European Union, the most senior Council body, other than those attended by ministers) where it was renamed a “sustainability mechanism” and finally adopted by Telecommunications ministers on 2 December 2016. The Council also adopted a high pricing schedule which started at €10 per GB, sliding down to €5 per GB by 2022, which again represented a victory for countries with large, long-standing operators who charge higher roaming tariffs. But this Council position was not approved unanimously. Finland voted against and Poland abstained, while a group of 13 countries (Austria, Belgium, Denmark, Estonia, Finland, Ireland, Latvia, Lithuania, the Netherlands, Poland, Romania, Slovenia and Sweden) issued a joint statement to distance themselves from the majority decision and to instead demand “substantially lower roaming wholesale caps”. These are all countries which ‘send’ more tourists across Europe than they ‘receive’, and / or can boast of already-low tariffs. But their position at this time was a minority view on the Council. With the Parliament’s position of a starting cap of €4 per GB, and a majority (but not all) member states endorsing far higher caps and the 'Telefónica clause', it was clear that the inter-institutional negotiations to reconcile the positions of the Council, Commission, and Parliament, known as trilogue, would be tough. Campaign group Xnet has called the Spanish government a “vassal of the telecom lobbies”, and there certainly appear to be very close ties between Telefónica and the government, most infamously via the 'revolving door’ (when politicians and officials seamlessly move from the public sector to the private sector or vice versa). This phenomenon prompted newspaper La Marea in 2012 to nickname the corporation “an insurance against unemployment for the Partido Popular”, saying that Spain’s conservative ruling party has lived in an “idyll” with Telefónica for years. Key revolving door cases over the years have included: former minister Eduardo Zaplana who is now deputy secretary general at Telefónica; Andrea Fabra who was on a protracted leave of absence from Telefónica whilst an MP and returned to the company in 2016; ministerial adviser Arturo Moreno; Alfredo Timmermans who was previously Secretary of State of Communication; Carlos Lopez Blanco, who was previously Secretary of State for Telecommunications; and many others. Meanwhile, the husband of Spain’s deputy Prime Minister moved to Telefónica in 2012 having previously worked for the European Commission and the Spanish Permanent Representation; and the wife of Spanish Prime Minister Mariano Rajoy, Elvira Fernández, has been on a prolonged leave of absence from Telefónica. Notoriously, the disgraced brother-in-law of King Felipe VI, Inaki Urdangarin, worked as chairman of Telefónica International USA before stepping down and then being found guilty of embezzlement of public funds in 2017. And Rodrigo Rato, a former Minister of Economy and head of the International Monetary Fund, joined Telefónica’s advisory councils in Latin America and Europe in 2013, a month after he was summoned before a Spanish court in relation to corruption charges while chair of state-rescued lender Bankia, a process which culminated in 2017 with Rato being sentenced to four years’ imprisonment for embezzlement. Following Spain’s electoral deadlock of 2015-16, many in the business community feared a left coalition government might be formed between the centrist PSOE party and leftist Podemos. PSOE leader Pedro Sánchez told Spanish news programme Salvados de la Sexta that Telefónica's former chief executive César Alierta, alongside newspaper El País, and other businessmen, had pushed “for a conservative government” during the political impasse. In an effort to head-off pressure from Telefónica and Prisa (the owner of El País, where Telefónica holds a significant stake) which he said were pushing him to not form a government with the progressive left movement Podemos, Sánchez held a meeting with Alierta’s successor as chief executive, José María Álvarez-Pallete. Enrique Dans, a Spanish commentator on the technology industry, has written that César Alierta maintained an attitude of “everything can be achieved by calling the right people” and that during the Alierta era at Telefónica, the company developed “a clearly harmful dependence on politics”. In another article Ana Tudelo discusses Alierta's favourite influencing tools, the high value he placed on “fidelity”, and describes the revolving door as “Alierta’s brand”. Alierta, whose background was in the tobacco industry, stepped down in March 2016 with a multimillion euro golden handshake. Alierta was also President of the ‘thinktank' the Business Council for Competitiveness (CEC) composed of 15 key Spanish companies, including Telefónica, which “contributes proposals that improve the competitiveness, help the economic recovery and strengthen the international trust in Spain.” This lobby group was set up in 2011 during Spain’s financial crisis, and held the ear of government. According to an interview with La Vanguardia, during the electoral deadlock in 2015-16 the lobby group claimed to have engaged in “work of a more discreet profile”. Three trilogue sessions – meetings between the Parliament, Council, and Commission – were held from December 2016 to January 2017 and a late-night compromise agreement saw the conclusion of negotiations on wholesale roaming charges. The final deal saw the caps set lower than both the Council and Commission wanted, but higher than the Parliament wanted. Council was ultimately defeated on the 'Telefónica clause', although it had remained in the Council’s negotiating position until the last moment. As for the major operators, including Telefónica and its trade association ETNO, they stayed quiet, perhaps recognising the lobby battle had ultimately been lost. "regrettable that the proposed sustainability mechanism [ie the 'Telefonica clause'], which would be invoked only in extreme and fully justified cases, and could provide the only way out of a potentially disastrous situation of great distortion, is not part of the agreement." Spain was advocating Telefónica’s interests to the last. An absence of transparency and accountability blocks full understanding of how measures like wholesale roaming, and many others, pass through the EU institutions, despite the high-level of public interest in these topics. At the time of writing, the Commission had yet to answer an access to documents request about the contacts it had with Telefónica and other operators on this dossier, while its proactive transparency regarding its lobby meetings only extends to the top 300 or so Commission officials. In the Parliament, MEPs are not required to publish their lobby meetings (although some do on a voluntary basis), and rapporteurs and shadows are not required to publish legislative footprints of who they have been lobbied by. Meanwhile in the Council, working group minutes (if they exist at all) tend to be bland and are generally devoid of member state positions, meaning it is not clear where specific amendments originated, unless exceptional statements by one or more member state are made. In fact, the European Ombudsman recently decided to investigate “whether the Council allows sufficient public scrutiny of the evolving discussions on draft EU laws”. Neither the Council nor the 28 member state permanent representations are part of the current EU lobby transparency register, and when the Alliance for Lobbying Transparency and Ethics Regulation (ALTER-EU) approached the Spanish permanent representation about the lobby meetings it had held, as part of a wider survey, it was told that Spain did not record such information. Additionally, the Spanish Government (both the Department for Energy and Industry and the Foreign Affairs Ministry) has so far refused to release information about contacts with Telefónica on this dossier to us. Finally, there is next-to-no transparency around the trilogue process, a point recently highlighted by the Ombudsman, who called for key documents to be proactively published. The EU’s 'Roam like at home' rules will be introduced next week and will likely receive favourable reception from the media and consumers alike. In the final analysis, Spain and by extension Telefónica did not get what it wanted from this dossier. Other countries with big long-standing operators including Germany (Deutsche Telekom) and France (Orange), who had also been active and vocal on this dossier, were left similarly disappointed. And yet the interests and influence of these long-standing operators, often expressed through their national representatives, did have an impact on the outcome. By finding a sympathetic ear in the Commission, and joining forces in the Council, these long-standing operators, epitomised by Telefónica, were able to secure compromises which have led to roaming becoming a more complex, weaker policy package than it might otherwise have been. The fact that wholesale caps were not lowered enough (in order to please giants such as Telefónica) is already having implications for the market, as a recent investigation by New Europe has shown. At least 11 small operators from across Europe or operators in low-priced countries, are now trying to convince the regulatory authorities to allow them to apply roaming surcharges on retail customers because wholesale roaming costs are still too high for them. Without a doubt, this case illustrates the need for far greater transparency of the influences that determine the positions taken by EU and national decision-makers in the Council, and an end to member states adopting corporate positions as national interests, especially when those corporate interests are counter to the interests of citizens and consumers. 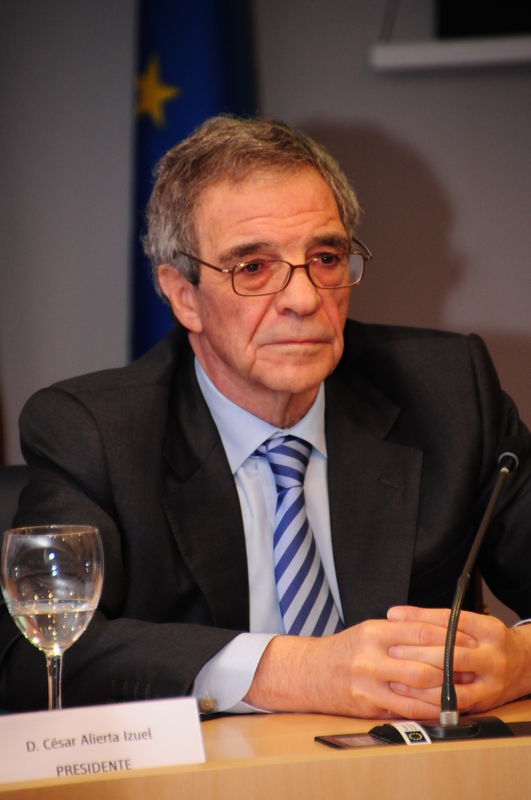 * Corporate Europe Observatory approached both José Blanco López MEP and Telefónica for interviews but neither responded.